[singlepic=1129,250,352,right]Another new “old” Tracy Chapman’s performance is available as an audio streaming online on Concert Vault (you’d need to register to be able to listen to it): it’s the Tracy Chapman Concert at the Estadio River Plate (Buenos Aires, Argentina), the last concert of the famous Amnesty International Human Rights Now tour on October 15, 1988. That same year (1988) would also mark the 40th anniversary of the signing of the Universal Declaration of Human Rights. In an effort to raise world consciousness about human rights and of the plight of political prisoners worldwide, Bruce Springsteen, Sting, Peter Gabriel, and Youssou N’Dour, along with Tracy Chapman, embarked on the Concerts for Human Rights Foundation World Tour. The tour was an ambitious undertaking that criss-crossed the globe during September and October of 1988, where these artists performed before monumental crowds in Europe, Asia, Africa, as well as North and South America. 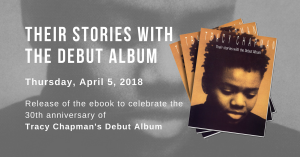 Recorded on the final night of the tour in Buenos Aires, Argentina, this Tracy Chapman set proves just how powerfully her songs resonated as she delivers one of the most touching performances of this legendary concert. From the opening number about hope for racial equality, “Across the Lines,” to the closing anthem against poverty and unemployment, “Talkin’ Bout a Revolution,” Chapman’s songs vividly communicate deep feelings in a manner that belied her young age. Her ability to explore important social and political issues without becoming preachy made her stand out immediately. This unique ability was no doubt largely responsible for the likes of Springsteen and Gabriel becoming so enamored of Chapman and inviting her to co-headline this high-profile tour so early in her career. In between the above-mentioned songs, Chapman performs a wealth of additional first album material. This remarkable set also features the tender and sentimental “Baby Can I Hold You” (where Branford Marsalis accompanies her on sax), the powerful “Why,” inspiring all listeners to question themselves, and her devastatingly powerful observation on domestic abuse, “Behind the Wall,” performed a cappella. The undeniably penetrating “Fast Car,” a song about social class and poverty entrapment is also performed, as is her vivid portrayal about the obsession with material belongings, “Mountains O’ Things.” The audience is also given a preview of things to come, with “Freedom Now,” a song dedicated to Nelson Mandela that would later become the centerpiece of her second album. Throughout this set, Chapman’s stunningly captivating voice is front and center. Whether her lyrics are hopeful or chilling (often both within a single song), this material has a depth and substance well beyond her years. Chapman’s socially conscious songwriting would have a significant impact on countless songwriters in the forthcoming decade, including Sarah McLachlan, Paula Cole and Jewel. Of this tour, Chapman is quoted as saying, “It was the chance of a lifetime to have performed in the places we performed in, and, on top of that, to have it all mean something too.” This determination to shine a light on important issues would continue to fuel Chapman’s work to the present day and justify her as one of the most resonating songwriters of her generation.